Ecuador nightlife varies widely from large cities of Quito and Guayaquil to the smaller towns of Banos and Montanita. Banos has an excellent reputation for partying, but the small surf and hippie hangout of Montanita on the Pacific Coast is the party capital of the country. During the Summer, it's common for Ecuadorians from around the country to vacation in Montanita. There's a whole contingent of young people from nearby Guayaquil who would prefer to escape the city for the beach every weekend. Also, the surf town's casual vibe and relaxed policies on marijuana attract lots of other South Americans from Argentina, Chile, and Colombia, as well as foreigners from around the world. Montanita is especially well-known for being a crazy (and crowded) place to celebrate New Year's Eve. 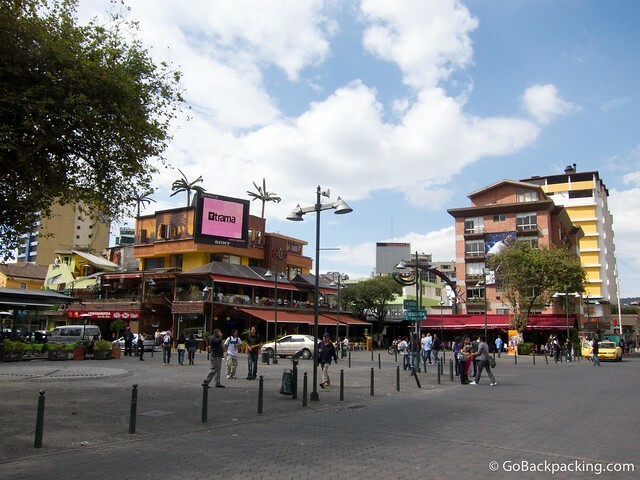 Every Ecuadorian city features a Zona Rosa, or main nightlife district, where you'll find the highest density of bars, discotecas (clubs), and restaurants. In Quito, it's Plaza Foch. In Guayaquil, there are a few places, with Las Penas being the safest and most easily accessible. 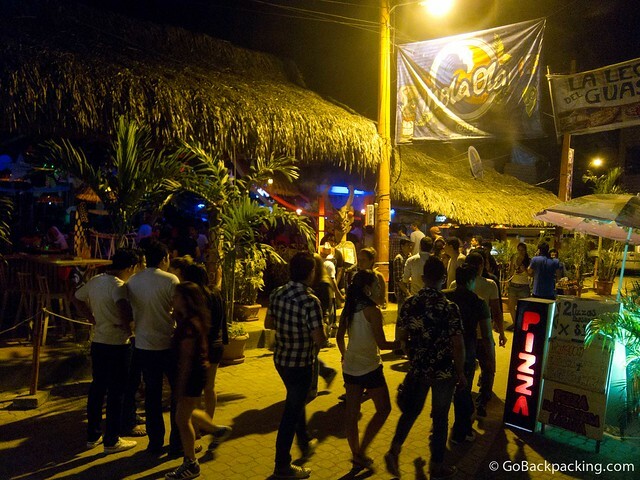 Most of the bars and discotecas in the pueblos, such as Banos and Montanita, are centrally located. Just follow the music, and you should have no trouble finding the action. Nightlife in Ecuador is pretty quiet Sunday through Wednesday unless you know the right places to go to (hint: ask the locals). Otherwise, look for flyers advertising ladies nights early in the week. Friday nights are popular, and Saturday nights are the busiest of the week. Arrive early (before 11 PM) if you want to get a good table at discotecas on the weekends, and avoid any lines at the popular places. Closing times vary by city, however most regular bars close by 2 – 3 AM. Larger discotecas may stay open until 4 AM. Some late, late night venues stay open until dawn. During the Summer in Montanita, for example, you'll find people drinking and hanging out in the streets until sunrise. Dress codes apply to a minority of discotecas in the major cities. 99% of the time you won't need to worry about dressing up for a night of partying in Ecuador. For both men and women, jeans, t-shirts, and sneakers are fine. The women tend to dress up more than the men, which is the case for much of Latin America. Update: Based on the feedback of several Ecuadorian readers, I've revised this section. There's a broad mix of music in Ecuador. Middle and upper-class Ecuadorians prefer electronic music, and these clubs are common in large cities. During the Summer months, weekly raves are held at one particular club in Montanita. Heavy metal is also popular. 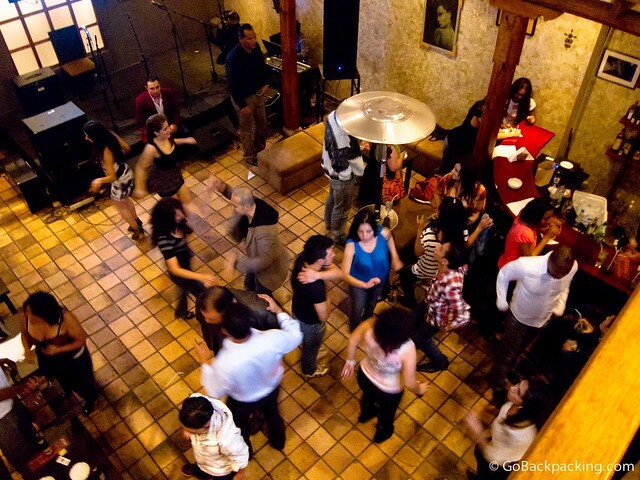 Caribbean music, such as salsa, bachata, and reggaeton can also be heard at bars and clubs, but based on the feedback from some Ecuadorian readers, these genres are seen as being music for lower class citizens. 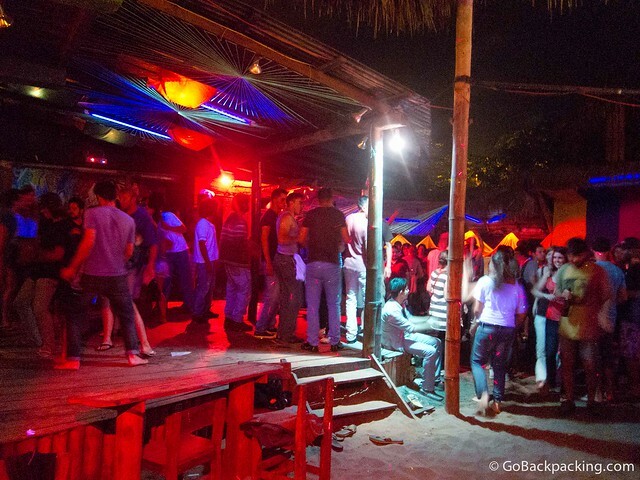 Bars and discotecas in Ecuador handle cover charges in different ways. To save you money and possible arguments with bar staff, it's best to be aware before you go. 1. Paying a cover charge, and buying individual drinks in the discoteca. This is the Western way of doing things. 2. Being required to spend a pre-defined amount of money on drinks, instead of having to pay a cover charge. 3. Being required to pay a cover charge that includes one or more “free” drinks, though your options may be limited. Some discotecas will issue you a debit card when you enter. This is then presented to the bar staff instead of paying with cash. At the end of the night, you give the debit card and pay a cashier before you can leave. What you need to be aware of is that the discoteca may put a cover charge on the card directly, in which case unless you are aware of it in advance, you may end up with an expensive surprise awaiting you at the end of the night. 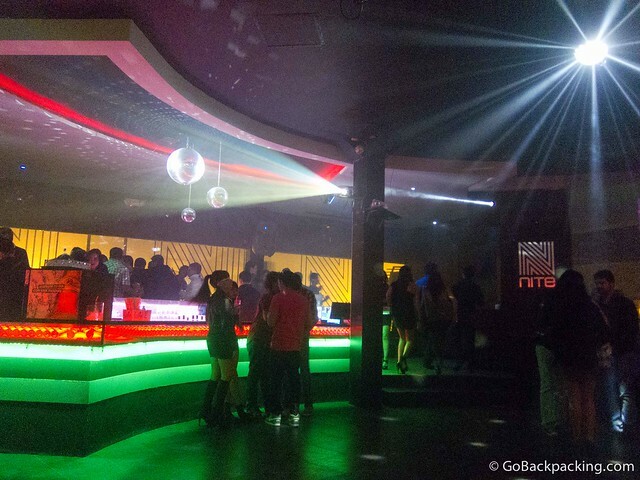 Even when I and several friends asked the doormen and staff of Nite Discoteca in Cuenca about a cover charge, none of them indicated there was one. An hour after entering, we decided to go somewhere else and were surprised to learn each guy had to pay a $20 cover, and each woman had to pay a $10 cover (and men are expected to pay for their dates in Ecuador, always). Most Ecuadorians go out partying in groups mixed with friends, boyfriends/girlfriends, and siblings. Early in the night (before 11 PM), everyone will be drinking and talking within their social groups. As more alcohol is consumed, more and more people start getting up to dance. If you get to a club early, don't be surprised if you just see everyone sitting around. Give it time. As a result of the group dynamic, it can be hard for travelers to meet Ecuadorians at bars and clubs. The best approach is to be friendly and straightforward. The guys should ask a girl to dance, or start a casual conversation. Dancing is a big part of nightlife in Ecuador. To enjoy yourself, take a few salsa lessons ($10/hour for private lessons). Ecuadorians are polite, and most will dance with someone when invited (out of proper etiquette). For the guys, reggaeton music is easy to dance to — just ask the woman to dance (bailamos), or move next to her, and she'll do the rest (if she's interested). For foreign women, even if you're used to inviting guys to dance in your home country, it's not normal in Ecuador, and the men might feel uncomfortable if you approach or ask them. Overall, Ecuadorian women have a positive reputation as being very friendly and approachable; however, they are typically more conservative than their Colombian and Peruvian neighbors. The prettiest ones know they're pretty, so they're unlikely to have patience for a foreigner who can't speak Spanish. The man is expected to make all the phone calls. If interested, a girl will call a guy. However, they often hang up before the man answers to ensure they are not charged for the call. It is then expected that the man calls her back. Text messaging is not an effective way to communicate with most Ecuadorian girls. The exception is women from middle class or wealthier backgrounds who can afford smartphones, such as BlackBerries, and therefore have data plans and access to BlackBerry Messenger for texting. Ecuadorian society is still very traditional, and many women are on the lookout for their knight in shining armor. Or at least a few proper dates (dinner, drinks, dancing, movie), before things get physical. Be aware that some women may solely be interested in you for your money, or ability to help them move to your home country (USA, Europe, etc.5). “I spent five weeks in Montañita in Ecuador and ended up dating my surf instructor there. There was a bit of a language barrier as his English was bad and my Spanish was even worse, but we engaged in a relationship regardless. Dating a man from Ecuador was a very different experience for me, and came with a lot of frustrations. Ecuador has a serious machismo culture – men are valued above women and are always in charge. Men make all the decision and women simply concede and agree. Coming from Canada, this is not at all how we do things! Men and women are equal and in fact women often end up having the last word and making the decisions. So you can imagine the head butting that ensued between us. He was not used to having a woman disagree with him, and I was not used to having a man try to tell me what to do. If you date a man in Ecuador be aware of a few things. They are demanding and dominant and expect you to be passive and do what they say. But more so, the men there often expect you to pay for everything. Not having much money, they let you know right off the bat they can't pay for things, and once you offer once, they expect you to pay for everything and can become quite demanding of you and it can come across as rude and ungrateful. If you aren't willing or able to pay for yourself and your partner to eat, sleep and do activities you will need to let them know this right from the start. I'm not sure if this attitude persists outside of the beach town of Montañita but I have heard that it does. All of the men I met there had girlfriends from Europe or North America that were sending them money from abroad to buy things for themselves, so it seemed a little suspicious, especially since none of these men with girlfriends were being faithful to their long-distance partners. I have no doubt there are wonderful, faithful men in Ecuador, but please do be aware that there are also many in long distance relationships that they won't tell you about, and many who will come across as using you for your money and ask you to buy them all sorts of things as if you are their sugar momma. Check out more of Brittany's experiences in Latin America at her blog, www.borealblonde.com. Most Ecuadorians live with their parents or extended family until they are married. Unless you're dating a professional, it's unlikely you'll be spending the night at an Ecuadorian guy or girl's home. Out of necessity, love motels are widely available throughout the country, and offer privacy and comfort for couples looking for intimacy. Always use protection. Condoms are available at all pharmacies and drug stores, and even the cheap ones from a bar or discoteca bathroom are better than nothing. If possible, bring your favorites from home as the selection is limited. The morning after pill is not available. Abortion is illegal.